Squirrels can take residence in your loft space and cause a lot of noise and destruction. We provide professional squirrel control Mansfield to remove the squirrel problem. If a squirrel nests in your property it can cause structural damage by tearing up insulation, chewing timbers, pipe work and damaging items you have stored. Damage caused to cables can cause fires or electrical problems. In your garden squirrels can damage bulbs, plants, trees and eat birds eggs. Classed as vermin, it is illegal to release grey squirrels that have been trapped. Squirrel control Mansfield is more time consuming than other pest treatments. Trapping and poisoning are the main methods used with traps needing to be legally checked daily. Controlling squirrels in an outside area needs careful consideration as it is very likely that once a family is removed the territory will be occupied again by another family at some point in the future. It is important to wait until all the squirrels have been removed from your property before proofing. Blocking up entrances while the squirrels are still there will just make them find alternative entrances to the nest causing more damage. Once removed it is then important to proof against other squirrels entering and removing any food sources that will attract them in the future. 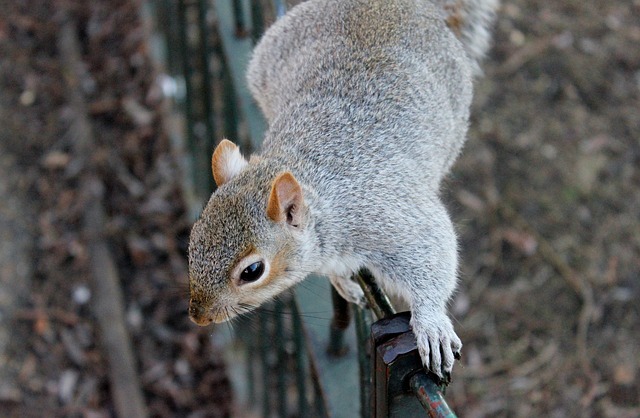 We provide domestic and commercial squirrel control services. If your business premises have a problem with squirrels we can provide effective treatments and advise on how to prevent the problem happening again.